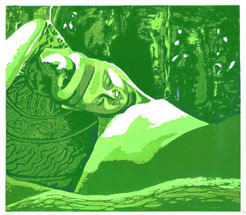 Onchi Koshiro and enabled him to learn a great deal from this giant in hanga. decorate the front cover, which helped to bring him international fame. 1897 Born in Ina, Nagano prefecture in 1897.
his father's worn out wooden clogs as the blocks. 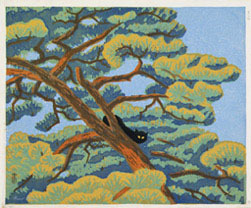 nique of his own devising, had influence even upon Onchi Koshiro. 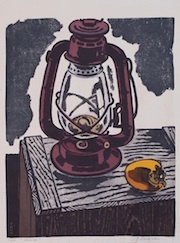 1906 Born in the pottery town of Mashiko, Tochigi prefecture. 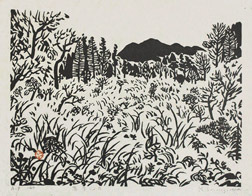 the world of black and white woodblock prints. admired Munakata's works for their feeling of incredible liberty. 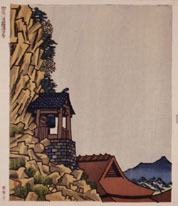 1952 He joined Munakata Shiko and Shimozawa Kihachiro to form Nihon Hanga-in. 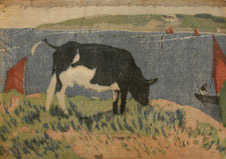 exhibited in the 1st Exhibition of the Sosaku-hanga Association. 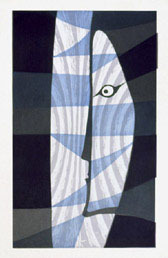 personality, was carried on until he died at the age of 72 in 1960.
arts, he learned the carving techniques under Igami Bonkotsu, a renowned carver. 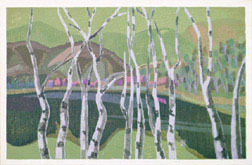 exhibited in the 3rd Exhibition of the Sosaku-hanga Association. 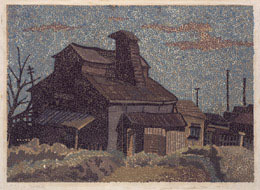 Throughout his long career he never spared any effort to promote this genre of art. were called the three outstanding talents in the Hiratsuka school. Un'ichi's passion for hanga never waned until his death at the age of 102 in 1997. 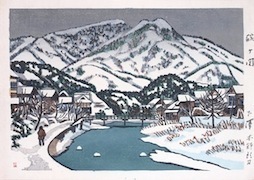 1918 Kitaoka Fumio was born in Tokyo in 1918.
first admitted entry for the 8th Exhibition of Japan Hanga Association. 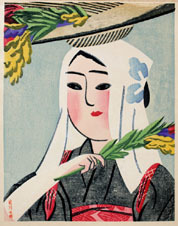 member of the Hanga Association. 1944 He joined the 'Ichimoku-kai' group whose leader was Onchi Koshiro. for children when the magazine " The World of Fairy Tales " was published. soon hily valued. 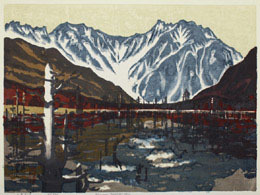 He started woodblock printing in the 1930s. Onchi Koshiro some of his experimental objects made of paper. 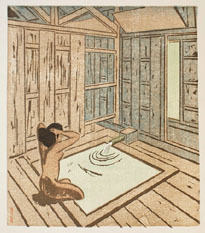 Onchi appeared to like them and advised him to express the ideas in hanga. 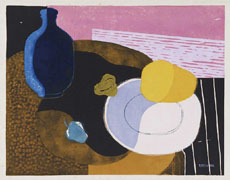 Thus started his career as a hanga artist. that we have so far had the opportunity to deal with. we believe would satisfy the need of collecters as well as beginners. Please contact us by e-mail or fax for further details.